Not far from some of the most spectacular homes of Southern California, there are families with children living in houses made of discarded plywood, corrugated metal, sheets of plastic, and cardboard boxes, with a leaky tarp as a roof. These houses do not protect them from the weather, nor from disease or other dangerous elements. The “Home of Hope” project is an opportunity to share the love and hope of Jesus Christ by building a home for one of these families. By this, the family and the surrounding community will know we are followers of Jesus (John 13:35). With this being our second home and hope building mission, we are doubly blessed and excited for this opportunity. 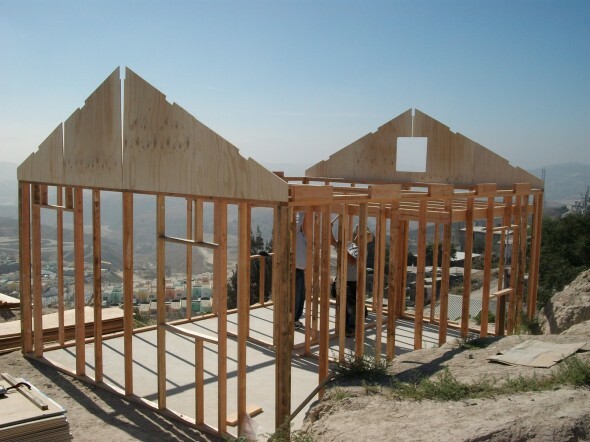 TAF is once again collaborating with Baja Christian Ministries (BCM), but we need YOU to make this vision a reality. TAF is supporting the Home of Hope by matching the first $9,000 donated to this project. As with all TAF projects, 100% of your donation will go directly to the cause. We will also be working in the background to maximize each donated dollar when converting monetary donations to goods (e.g. household goods). Please review the donation categories that we have established on this page to select how you can help build this Home of Hope. If none of the categories fits what’s on your heart, you can also click the button below to specify the amount you want to give to this project. In all cases, you will be redirected to a secure PayPal page where you can pay using a major credit card or your PayPal account. Team members will receive details and training as the trip date approaches. Click here to check out the pictures and video from last year’s Home of Hope project!